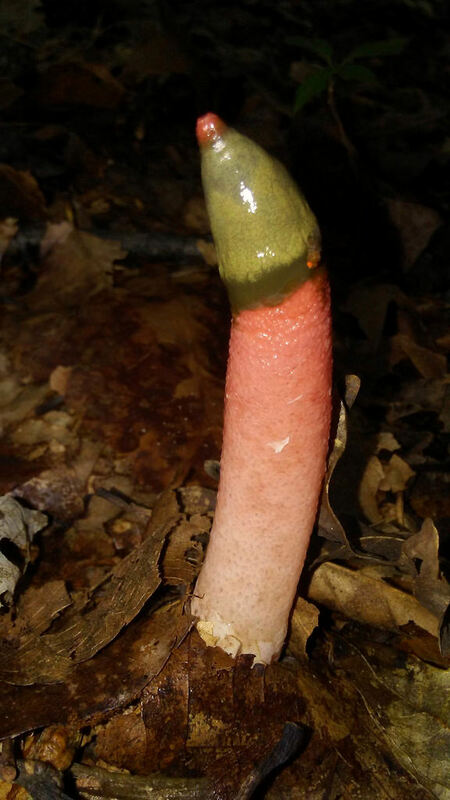 M. elegans - the only current Mutinus species in MBP. 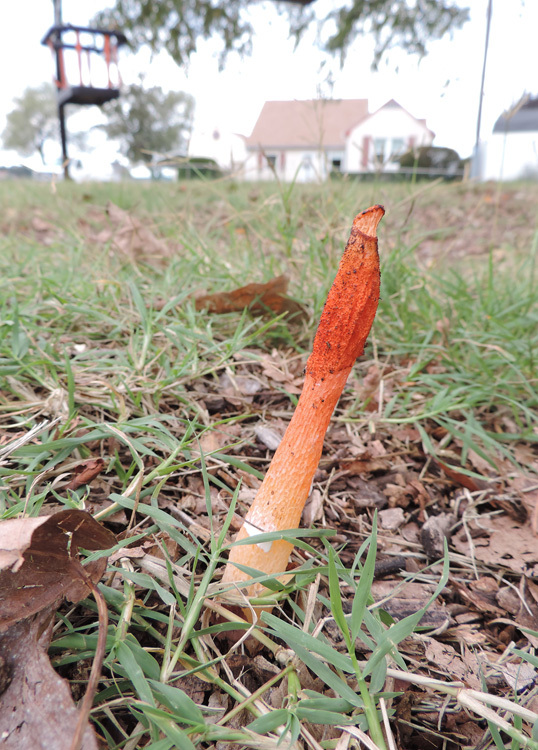 Most stinkhorns are found on the ground on wood chips or woody debris. 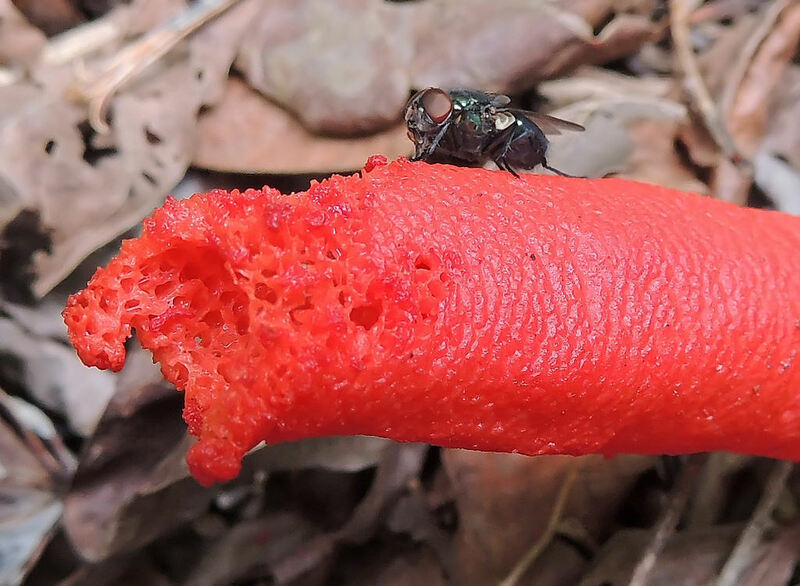 The foul odor attracts flies and other insects; they disperse the spores. M. ravenelli - on ground, on wood chips, mulch, decaying wood. M. caninus - may have to wait for additional research as this one used to be the one usually pictured in field guides but, just to add to the possibilities, here are characteristics (as defined by Kuo on his website and Baroni in his field guide--those are the major references I used to separate all three species). 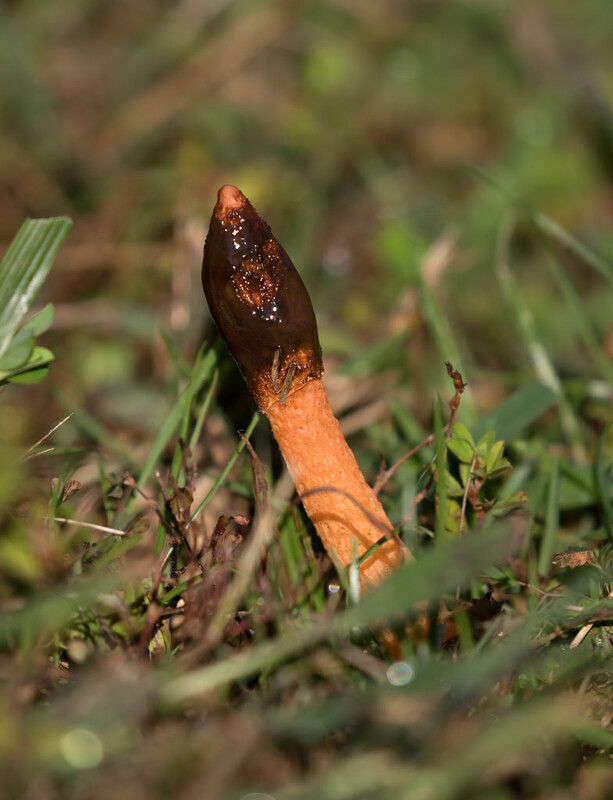 Most stinkhorns are found on the ground on wood chips or woody debris. The foul odor attracts flies and other insects; they disperse the spores.